Destiny Tree Care is available in Citrus Heights for all your tree care needs, 24 hours a day, 7 days a week. With more than three decades of experience, we can help handle your property concerns. We will assist you with selecting the best tree care option. Our Citrus Heights tree care experts will do everything we can to get the job done in an efficient and thorough manner. We put job safety and customer satisfaction before all else. 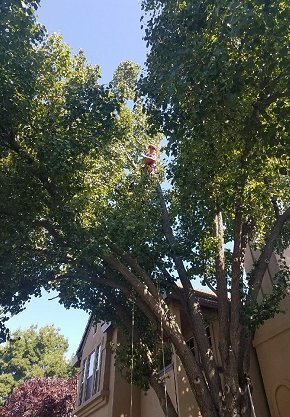 No project in Citrus Heights is too big or small for our hardworking tree care specialists. When you call on us, we are always ready to evaluate your trees and make the recommendations you need. Our team in Citrus Heights can help with cabling, tree removal, stump removal, tree trimming and much more. Below we have summarized our tree services in Citrus Heights, CA. If you have questions or would like to schedule a consultation, please contact Destiny Tree Care at 916-370-0687. At Destiny Tree Care, our tree specialists prune to ANSI A300 standards and use the best management practices as laid out by the International Society of Arboriculture. Pruning is both an art and a science and is one of the most often misunderstood aspects of the tree industry. Our emphasis is on achieving a natural look that is good for tree health and will maintain an aesthetic eye pleasing looks. To learn further about our tree pruning services in Citrus Heights, please view our Tree Trimming page of this site. Stump grinding is the most economical method to handle unwanted stumps. Often when a tree is cut down the stump can be left to rot away on its own, but if it's unsightly, difficult to mow around, attracts insects or termites you may elect to have it removed. For further details about our tree stump removal services in Citrus Heights, please view our Stump Grinding page of this site. Structural defects that cannot be corrected with pruning alone can be minimized with the proper installation of cable and bracing systems. Whether deemed necessary to support a weak branch union or to repair storm damage, we can prescribe the proper system to fit the scenario. Our tree cable and bracing services in Citrus Heights are further addressed on the Tree Preservation page of this site. When planting young trees in Citrus Heights it is important to involve an arborist to ensure that proper nursery stock is selected and that proper procedures are followed. Tree health begins in the nursery. Selecting the right specimen for the right site is a crucial decision that will affect the long-term health of the tree. Creating sustainable low maintenance systems is our main goal. Feel free to contact our tree experts at 916-370-0687 for further details. Although the idea of tree removal goes against everything we believe, it is sometimes a necessary action. Trees have finite lives and our main job as arborists in Citrus Heights is to mitigate the natural world with the urban landscape. Every measure will be taken to use the latest technology to make this rigorous and dangerous work as safe and efficient as possible. Has a tree fallen in your Citrus Heights yard, on your home or car? When the unexpected occurs we are here to assist you that same day. 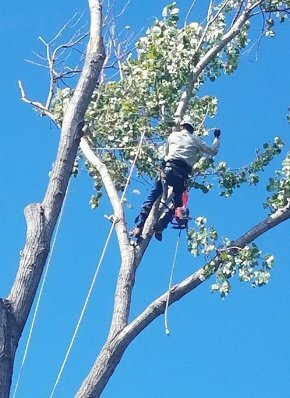 We know how dangerous these situations can be and are here to provide you with our tree services quickly and effectively. In the event of an emergency tree situation in Citrus Heights, our tree experts have the technical expertise to safely help you when you need it the most. With our substantial equipment including the use of specialized cranes, we have the resources to handle even the most difficult emergency tree situation. Destiny Tree Care is happy to offer emergency tree services 24 hours a day, 7 days a week in Citrus Heights, CA, and the surrounding area. Hedges are the classic way to give an outdoor area a touch of class. A trimmed hedge is the perfect finishing touch to a delightful garden in Citrus Heights. Hedges also provide valuable privacy and can protect your garden from the elements. We invite you to continue your tour of our website. If you are in Citrus Heights and you have questions or would like to schedule a consultation, please contact Destiny Tree Care at 916-370-0687. We will be happy to assist you.